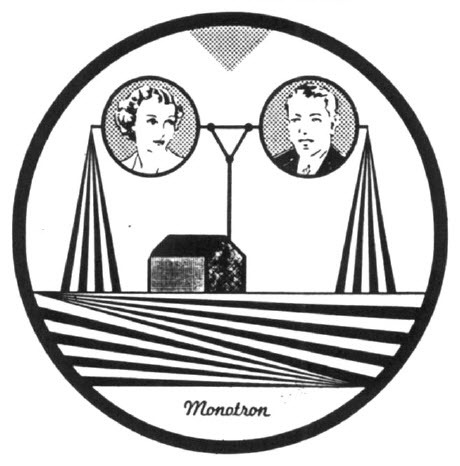 Early in 1938 National Union announced a device called a Monotron (also called a Monoscope) designed to generate a television image for those doing television receiver research, or those who wanted to learn how to service television sets, or those who needed to tweak up focus and linearity adjustments on a set. “Why,” might you ask, “didn’t people just use a test pattern broadcast by a television station?” There was very little TV broadcasting taking place at the time, and even if a station had a test pattern, it might not be on the air at the time you wanted to check out a set. National Union’s Monotron resembled a 3-inch CRT of the era, and used the same electron gun as National Union’s 3-inch CRT type 2003. Communications for April 1938 (p. 26) stated that “In the Monotron, a metallic signal plate takes the place of the usual fluorescent screen. 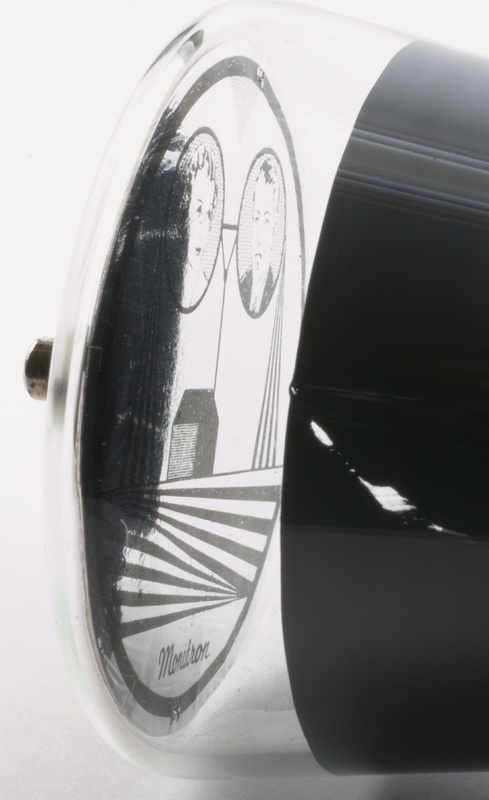 Upon this metal plate and facing the beam of electrons within the tube is printed a test pattern. This test pattern is fixed, and may not be varied in so far as any one tube is concerned. 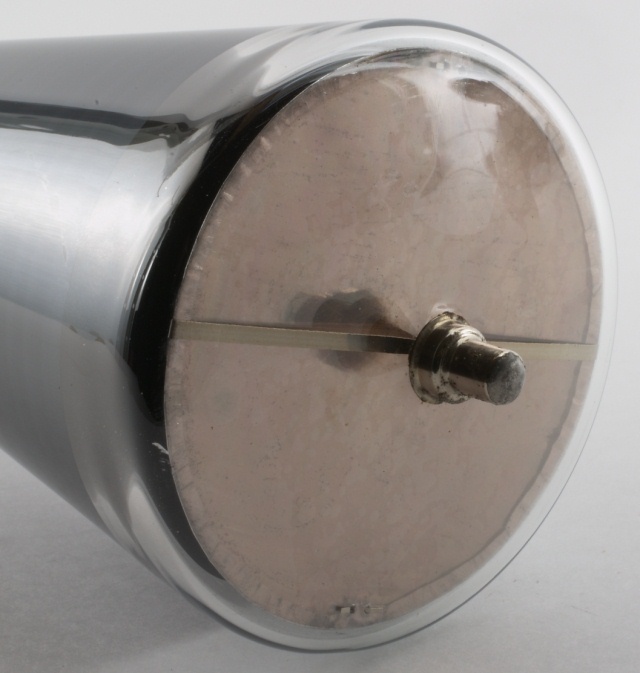 The test pattern, however, may be different for each tube.” As the electron beam scanned the image, the secondary electrons were collected by a suitable electrode. The secondary electron stream intensity varied depending on whether the beam impinged on the metal plate or the special ink. The resulting image signal could serve as a test pattern.